Samsung’s TouchWiz software is getting long in the tooth, even with small yearly tweaks. Perhaps that’s why the company is rumored to be revamping the interface it uses atop Android(s goog), starting with the upcoming Galaxy S5. What might it look like? 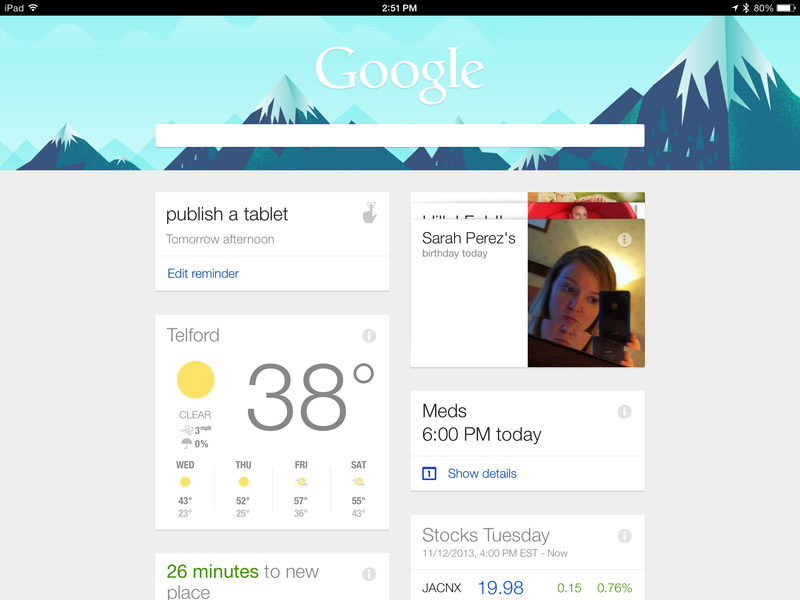 Leading tipster @evleaks has a reported screenshot, showing a home screen that looks similar to Google Now. The home screen interface appears to be a cross between contextual cards and a stream of communication from contacts and social networks. Google Now, which just arrived on the desktop last week, offers similar information in a card view: local weather, package tracking, the latest sports scores for your favorite team and health tracking information, for example. If this type of home screen ends up powering the Galaxy S5, I’d expect the experience to mimic that of Facebook Home(s fb) in the form of a launcher. Essentially, the main screen provides instant information with frequent updates and the ability to interact with the data. A button press would then take you to all of your installed Android apps. It’s an interesting approach because it provides more useful information at a glance. And after four years of the reworked icons in TouchWiz, it’s one I’m hoping we see on Samsung’s next flagship smartphone. I don’t like Windows phones home screen so i wouldn’t like this. You mean “akin to Windows”, don’t you?